The original Village Hall was built by the Berney family in 1846 to provide a school for Bracon Ash children. The building was constructed of clay lump and measured just 25 feet by 16 feet. It continued to be used as a school until the County Primary School opened in 1879 after which it became the village library, and was also used as a Sunday school in 1883. In 1939 the “reading room” was given over in trust by the Berneys to the Trustees of the Village Hall and registered as a charity. As the income was very small with no funds available for upkeep, the hall sadly deteriorated during the war years until it became unsafe and it finally closed in 1969. Before the closure however, in 1967, a working committee was appointed to investigate the possibility of rebuilding the Village Hall. The old hall was then demolished by voluntary labour in August 1969 and works commenced to rebuild the Hall with funds being raised in part by donations by local people, fund raising events and also by a gift of land by Mr R T Berney. The Hall as we know it today officially opened on 6th May 1970. 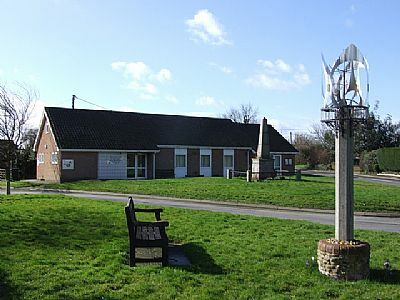 Today the Village Hall remains an important social hub for both Bracon Ash and Hethel and has recently been refurbished. There is also a Social Club which operates from the Village Hall twice a week. The Village Hall is available to hire at reasonable rates for both one-off events and regular bookings. The main hall can accommodate up to 60 persons, has a small kitchen, toilet facilities, tables and chairs. We also have free superfast Broadband and wifi!! Please see the online booking form on this website to book.